Thanks Fuzzy, will do I Dinner time, lol, just in time. Rebooted modem, no help with this issue. Running on Port 465, both camera's not working so it's something with gmail again I believe, or Google settings. if your gmail account is using 2-step verification, make sure you do the steps after step 5. Thanks, I will need some assisitance as this get's complicated for us seniors, will let you know when I get it done, and thanks you again for your patience all. Is this what your screen looks like? 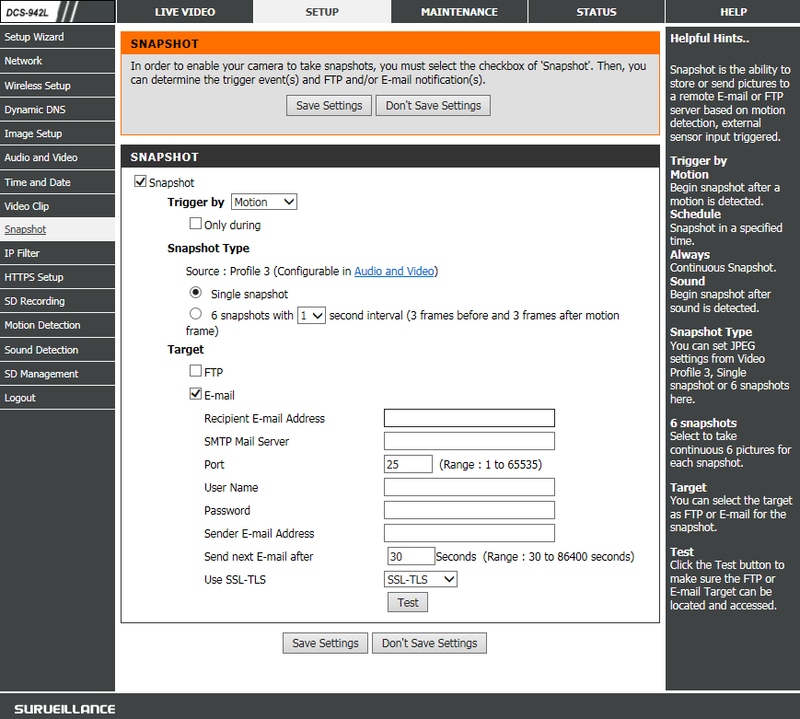 Recipient E-Mail Address - The email address you want snapshots mailed to. This does not have to be the same account as the rest of the information below. Password - The password for this gmail account (case-sensitive). Sender E-Mail Address - The email address that the recipient will see it coming from. 99% of the time it is the email address that the "user name" is with the @gmail.com. Send next E-mail after - 30 seconds is default. Use SSL-TLS - Select SSL-TLS from the drop-down. Yes, that's my screen all filled in even the port is correct. I save all, then it says "send failure"
The culprit was the "allow less secure apps" switch in Google. It was previously set to "allow", not sure if Google pushes changes to make these switch off??? Anyhow, once again, thank you all for the support ! Gald it's working again now. Will have to keep an eye on that setting.